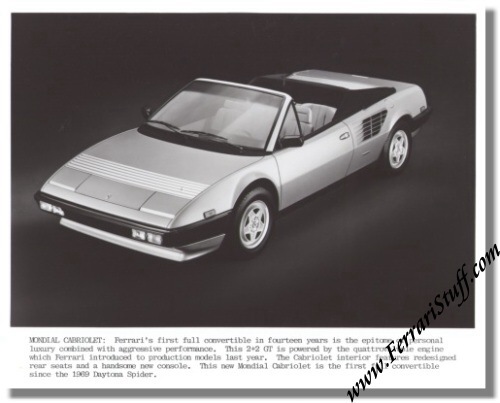 1982 Ferrari Mondial Cabriolet Quattrovalvole Press Photo. This press photo was issued by Ferrari North America and deals with the then new Mondial QV. It measures approximately 10 x 8 inches.